Warren Cowan, 87, a Hollywood publicist and part-time Elkhorn resident, died Wednesday, May 14, 2008, just three weeks after being diagnosed with cancer. He passed away peacefully at Cedars-Sinai Medical Center in Los Angeles, surrounded by his family, including his wife, Barbara, daughter Claudia Cowan and step-daughters Melissa Gilbert and Sara Gilbert. Cowan was a pioneer of entertainment publicity and co-founded the entertainment PR firm Rogers & Cowan. He was the consummate Hollywood press agent, and his passing marks the end of an era. His career spanned more than 60 years. Cowan was born in New York City in March 1921, and attended Townsend Harris High School, a school for "boys on the educational fast track." His parents were songwriter Rubey Cowan and Grace Cowan. His older brother, Stanley, was a longtime associate at Rogers & Cowan. Cowan joined publicist Henry Rogers in 1946 at his new firm following Cowan's three years in the U.S. Air Force and graduation from UCLA. He became a partner in Rogers & Cowan in 1950. Over the years, Cowan represented the biggest stars, most-successful movies and most-spectacular television shows, and handled everyone from Fortune 500 companies to authors and politicians. Two of his former clients were President Ronald Reagan and Gov. Arnold Schwarzenegger. He and President Reagan often joked that if Cowan had done a better job with publicity during his acting career, Reagan wouldn't have had to find a new career in politics. Cowan was one of Hollywood's most energetic executives and worked as much as the clock would allow. He started early. While attending UCLA and majoring in journalism, he was moonlighting and multi-tasked as publicist for actress Linda Darnell, one of 20th Century-Fox's biggest stars at the time. Simultaneously, Cowan worked as a reporter for UCLA's Daily Bruin. He worked until the day before his death, and was finishing his autobiography. His client list over the years included the biggest names—and often the biggest publicity stunts—in entertainment history. Until his death, he still represented long-time clients Paul Newman and Joanne Woodward at his entertainment PR firm, Warren Cowan & Associates. His clients over the years included Elizabeth Taylor, Danny Kaye, Kirk Douglas, Frank Sinatra, Tony Curtis, Shirley MacLaine, Elton John, Doris Day, Gene Kelly, Lucille Ball, Judy Garland, Jennifer Jones, Steve McQueen, Natalie Wood, Robert Wagner, Joan Crawford, President Reagan, Governor Schwarzenegger, Sylvester Stallone, Aaron Spelling, Jack Valenti, Cary Grant, Jack Lemmon, Danielle Steel, John Wayne, Henry Mancini, Bette Midler, Merv Griffin, Clint Eastwood, The Doors, Audrey Hepburn, Michael Jackson and Peter Ustinov. When asked who his favorite client was, Cowan's answer never varied: "The next one." His list of credits and accomplishments is without peer. He is acknowledged as the first "spin doctor," long before the politicians created spin rooms. He was an early pioneer in the convergence of politics with entertainers and sports stars, bringing celebrities to the White House for events, "world premiere screenings" and to publicize their projects beginning during the John F. Kennedy years. He pioneered "product placement" in Hollywood, giving celebrities free products from cars to clothes in order to get attention decades ago, and began placing products in films to get exposure for them. He was a master of the "top 10" list as a vehicle to get attention for his clients, having his clients cited for everything from being the "Most Watchable Man" to have the "Most Hypnotic Eyes." He created some of the early celebrity charity tributes, giving celebrities media exposure and using their names to raise money for non-profits. He helped create some of the earliest film festivals, seeing the value of global marketing for films and later television and music. He liked to "create news," with the first rooftop billboard designed for airline passengers to see, or a red carpet that was the longest, most-expensive, most red or other distinctions to attract attention to his clients' events. He was most proud of his charitable work, volunteering his time, energy, staff and creativity to hundreds of charities. Clients included the John Wayne Cancer Foundation, United Way, Make-A-Wish Foundation, Society of Singers and the Autism Society. He created the first "charity sports event" to raise money for non-profits (a golf tournament, staged in 1950, on behalf of motion picture director Frank Borzage). He traveled throughout the world on behalf of UNICEF for many years, creating many innovative public-service and public-awareness campaigns for the organization. During a special ceremony at the Kennedy Center in Washington, President Gerald Ford presented Cowan with United Way's prestigious Alexis de Tocqueville Award for his 17 years of outstanding volunteer efforts and called him "the most important United Way volunteer in the entertainment industry." 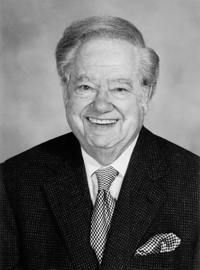 He succeeded First Lady Nancy Reagan as United Way's national committee communications chairman in 1982. In March, 2002, Cowan was honored as Hollywood's Mentor of the Year by the Volunteers of America at a gala event at the Beverly Hills Hilton Hotel. President George W. Bush sent a tribute honoring Cowan, as did former President Bill Clinton, with whom Cowan worked on a number of public service projects. Rogers & Cowan was the biggest entertainment PR firm in the world for decades, and Cowan supervised the entertainment divisions. He led the expansion over the years to representing movie studios, television production companies, publishing companies, cable networks, high-tech manufacturers, athletes, gala events and premieres and trade unions and entertainment organizations, including the Motion Picture Association of America and the National Academy of Recording Arts and Sciences and its Grammys. Rogers & Cowan was sold in 1988 to Shandwick Plc., an English conglomerate. He formed Warren Cowan & Associates at the conclusion of his two-year "non-compete" agreement in 1994, and the agency today represents a long list of entertainment and corporate clients. "Publicity is to Hollywood what the core is to a nuclear reactor. Expertly handled, it gives off the kind of heat that breaks box office records. Bungled, it melts down. " Cowan broke all the records. In recent years, studios and production companies have sought Cowan's experience and expertise for pioneering Academy Award and other specialized awards campaigns. Among the movies with which he had been recently involved were "Atonement," "Brokeback Mountain," "Sicko," "The Great Debaters," "The Pursuit of Happyness," "Lost in Translation," "Moulin Rouge," "Road To Perdition," "Life Is Beautiful," "Chicago," "Shakespeare in Love" and many others. Cowan was married for more than a decade to Barbara Gilbert-Cowan, the mother of actresses Melissa Gilbert, Sara Gilbert and actor Jonathan Gilbert. Cowan has two daughters from previous marriages: Fox News Channel correspondent Claudia Cowan (his daughter with actress Barbara Rush) and Bonnie Fleming. He is also survived by eight grandchildren. The family advises that donations can be made in Warren Cowan's name to The Hole in the Wall Gang Fund, 555 Long Wharf Dr., New Haven, CT 06511.